Andy Landesberg's side thrash Letchworth Garden City Eagles 7-1 in Aubrey Cup final to secure historic treble. London Lions clinched an historic league and cup treble on Monday afternoon as hat-tricks from Max Kyte and Austin Lipman helped them beat Letchworth Garden City Eagles 7-1 in the Aubrey Cup final. 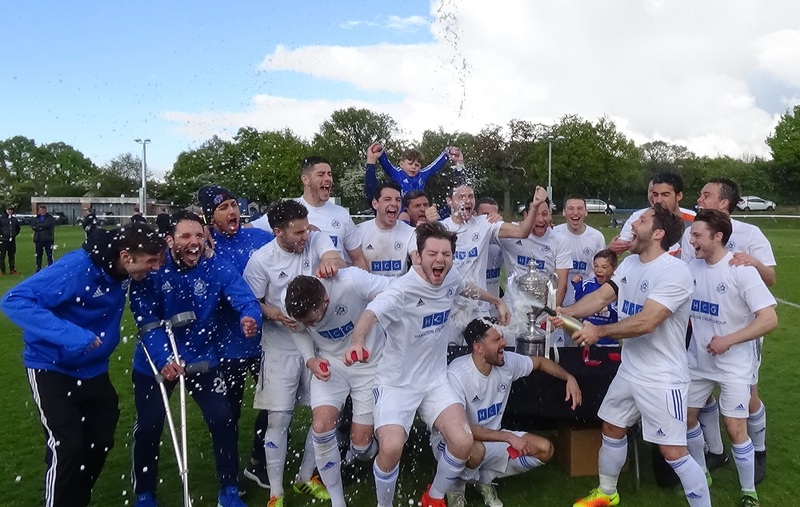 Looking to claim the unprecedented feat, the Rowley Lane side added a piece of silverware, to go alongside the Herts Senior County Premier Division title and the County Trophy. Charlie Kasler opened the scoring in 8th minute with a stunning strike from the edge of the box, though they were pegged back ten minutes later. That though would only prove to be a minor blip, as Lions continued to attack at will. Their pressure was finally rewarded seven minutes before the break when Kasler released Josh Kennet, and his inch-perfect cross across the face of the goal was tucked home by Max Kyte. They extended their lead ten minutes after the restart when Adam Buchell was tripped in the box, Kyte stepped up and converted from the spot. Three became four when Austin Lipman tapped in his first of the match, before Kyte completed his hat-trick, from another superb Kennet pass. Lipman made it a sweet half-dozen in the 82nd minute, when he rounded the goalkeeper to tap into an empty net, before he completed his scoring – and hat-trick – three minutes from time – finishing off another superb set-up by Kennet.